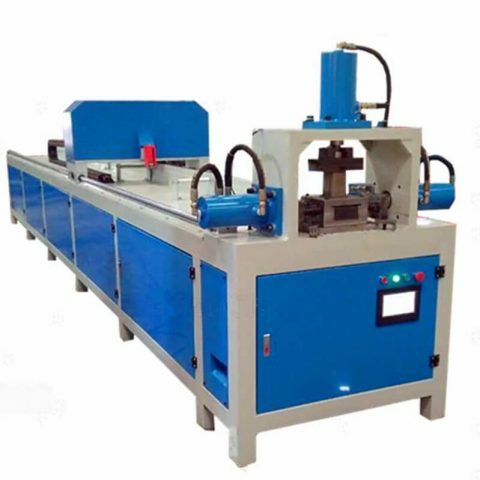 Three Cylinders CNC Fully Automatic Punching Machine can meet the punching requirement which needs 3 holes in different directions on one piece of material, with the high accuracy requirement. 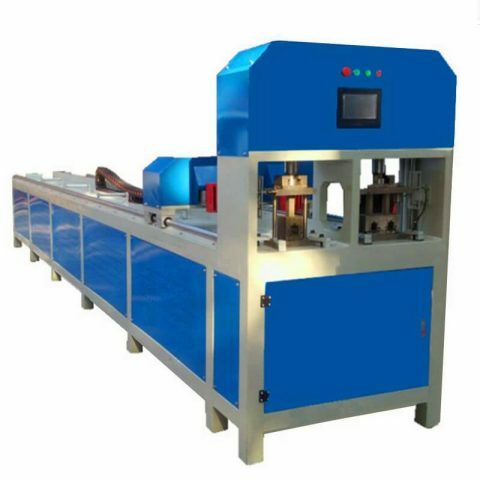 Three Cylinders CNC Fully Automatic Punching Machine can meet the punching requirement which needs 3 holes in different directions on one piece of material, with the high accuracy requirement. 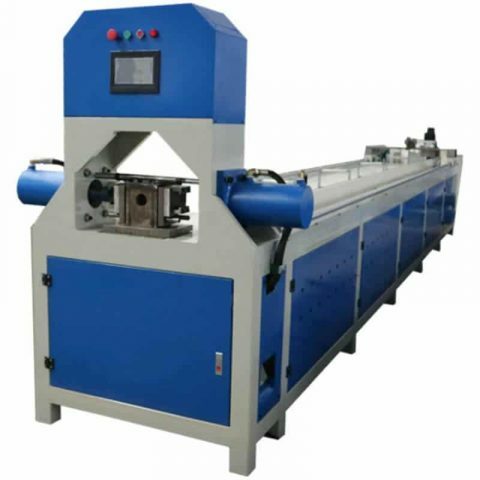 Its 3 sets of cylinders are placed for punching from the left side, right side, and the upper side of materials. 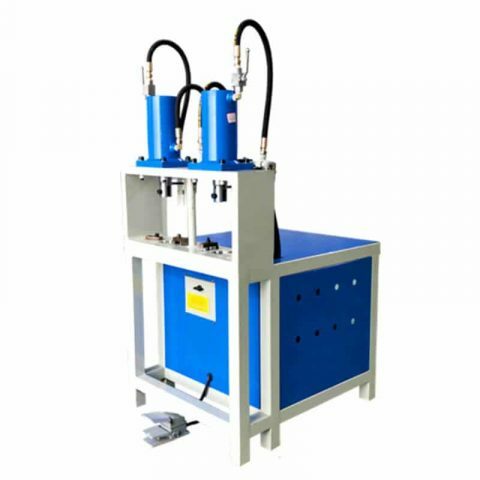 This model of Industrial hydraulic punching machine performs automatic pulling long length iron pipe, automatic feeding iron pipe, automatic calculating the holes distance, automatic punching material. 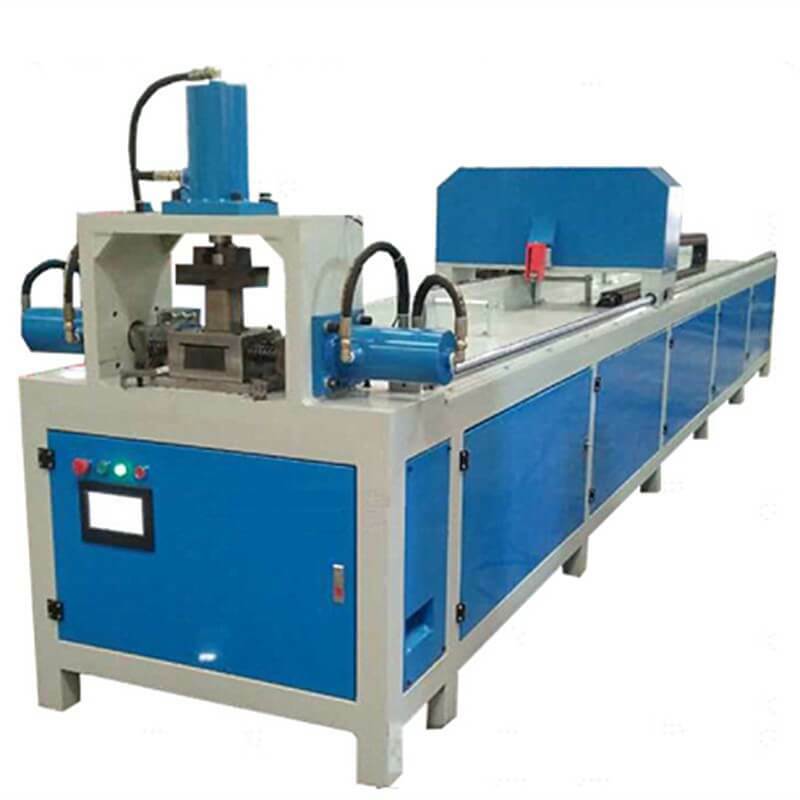 3 cylinders fully automatic industrial punching machine is used to punching large thickness iron or steel pipe, such as square pipe, round pipe, I-steel, double tee iron, double T-steel, flange beam, h-bar, i-bar. Available for different shapes of holes punching, including the square hole, rectangular hole, D shape hole, triangular hole, heart hole, oval hole, waist circular hole, prismatic hole, etc. 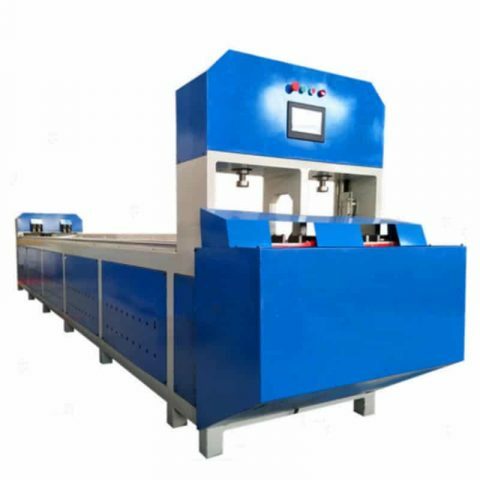 Three Cylinders CNC Fully Automatic Punching Machine is equipped with PLC system, numerical control with LED touchscreen. Reasonable design punch and die set, use high quality dies steel. Reasonable designing punch and die set to prevent scratch on dies, auto wiping system removes metal filings. 3 cylinders, punch 3 holes at one action.